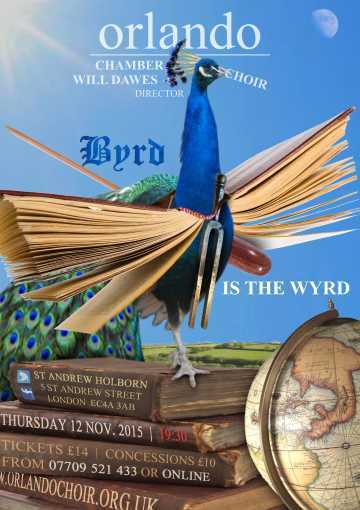 William Byrd, one of Britain’s greatest Renaissance composers, was an avid reader and ardent armchair traveller. He never seems to have set foot outside England but he corresponded with colleagues across Europe and from his library he surveyed the globe. Orlando Chamber Choir will sing a musical sketch of Byrd in his own words, with repertoire based on the composer’s collection of books, his manuscripts and his letters. The programme includes Byrd’s monumental Tribue Domine as well as compositions by his predecessors, colleagues and pupils.